This specific Copper Players' Full Cheek Mouth Piece Bit happens to be one of our best sellers. It is not just made of impeccable craftsmanship but we also offer them at an affordable price to help you save. 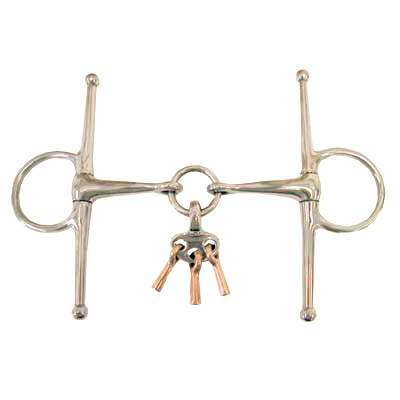 This Horse Mouthpiece Bit also gives lateral control and measures 1 1/2'' rings, 10mm mouth and 6 1/2'' cheeks. This Full Cheek Mouthpiece Bit is also made of top quality materials that will last a lifetime. As horse enthusiasts ourselves our number one priority is to offer our customers a Horse Mouth Piece Bit which we believe are made to last and available at affordable prices.